Did Samsung Steal Apple’s OS X Dock Now? Samsung is still continuing with their game of stealing ideas from Apple. Today, Yahoo points to Samsung’s new ‘S-Launcher’ dock for Windows 8 computers. At first glance, I thought it was a Mac OS X dock, and apparently Gizmodo has the same idea. Instead, this is the new S-Launcher dock ‘created by’ Samsung. Who is designing for Samsung, I have not a clue. But if I took a wild guess, I would honestly believe it was the same person who designed the Samsung phone icons, claimed to be infringing the iPhone icons. It’s astonishing how closely comparable the two docks are. 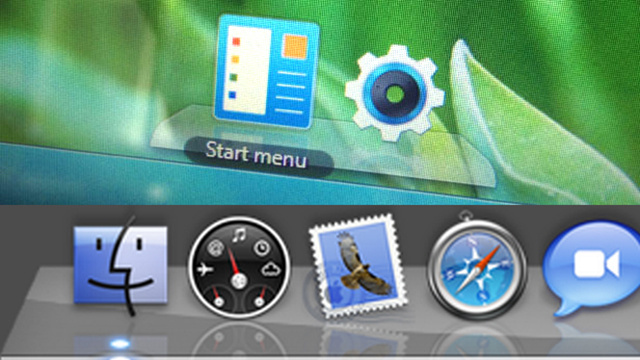 The photo, as seen above, shows the S-Launcher dock and the OS X dock. They both are 3D with a semi-transparent appearance. Heck, they both even feature that same glossy reflection. 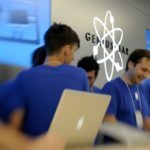 A dock isn’t a patented feature by Apple, but out of general respect Samsung should have added their own unique flavor to the tray. The only issue is Samsung can’t think of their own ideas, ever. It includes the search-and-launch function of the Start button. Oh, and the tray has a rounded edge on the front! Thoughts on this? Also just a side note, I’m not being biased, I’ve just spoken the truth.